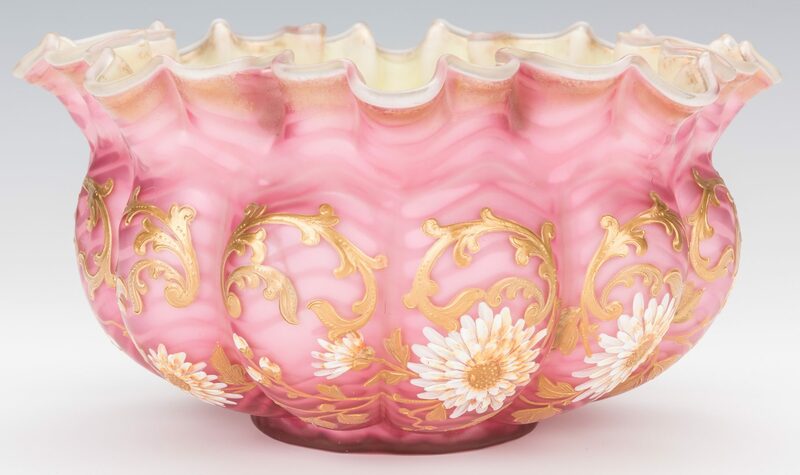 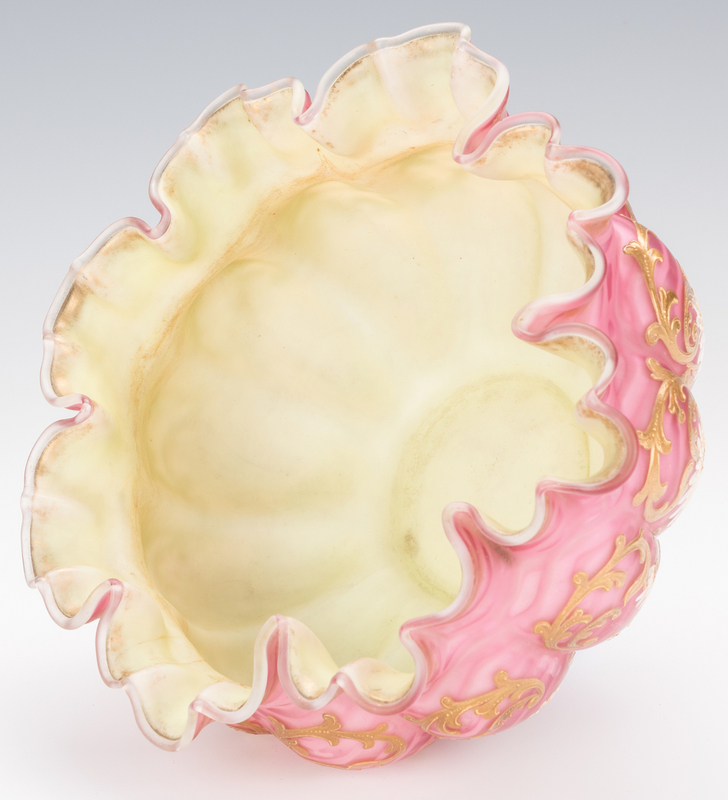 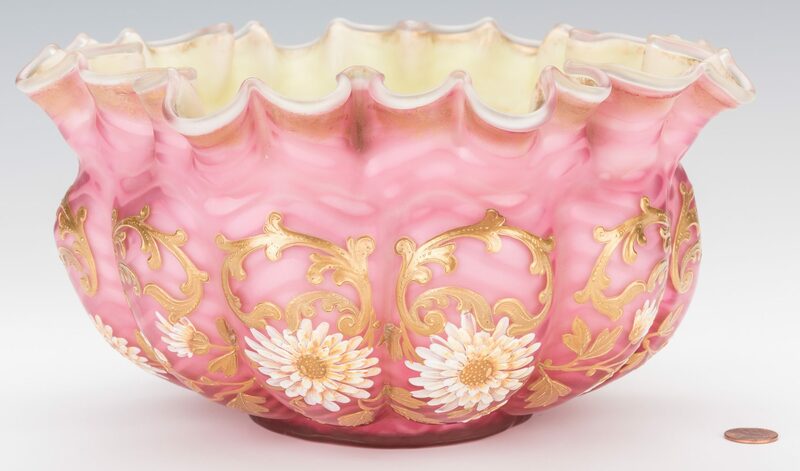 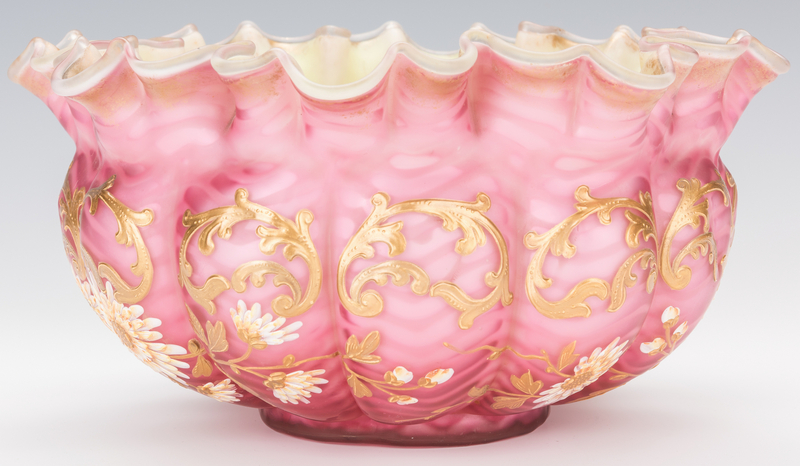 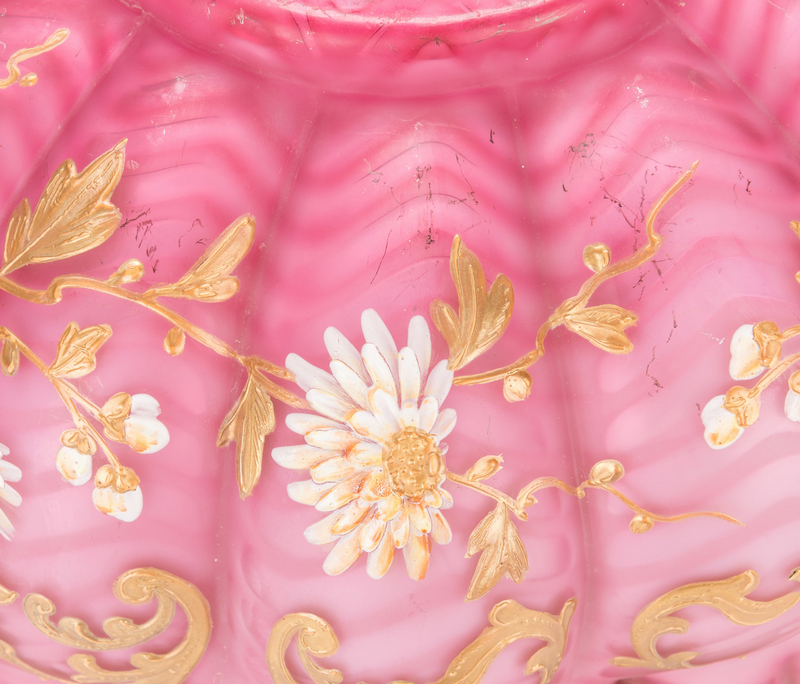 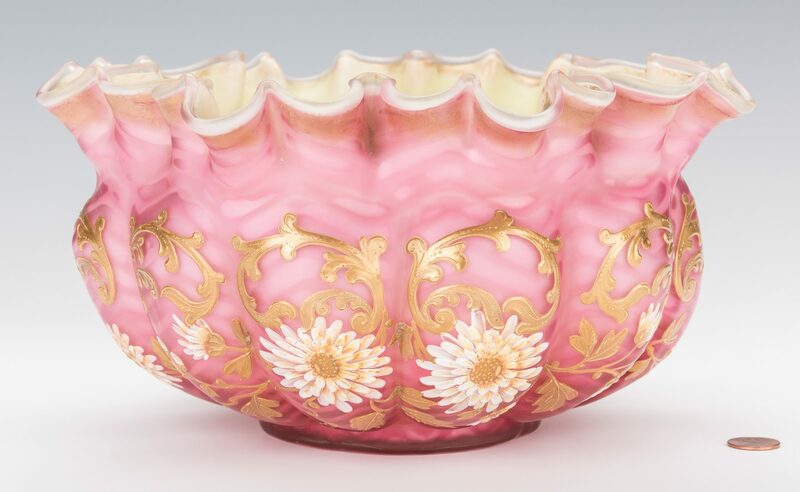 Gilt and enameled satin glass air-trap bride's bowl, ruffled edge, pink exterior, yellow-green interior, handpainted gilt scroll and white floral spray decoration. 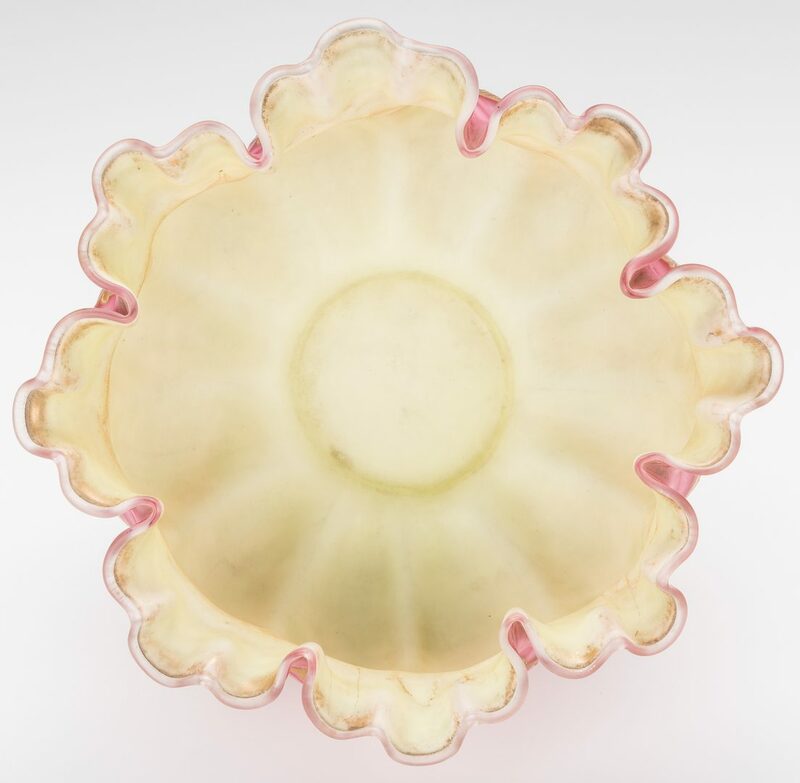 5-1/2 x 10-1/2 inches. 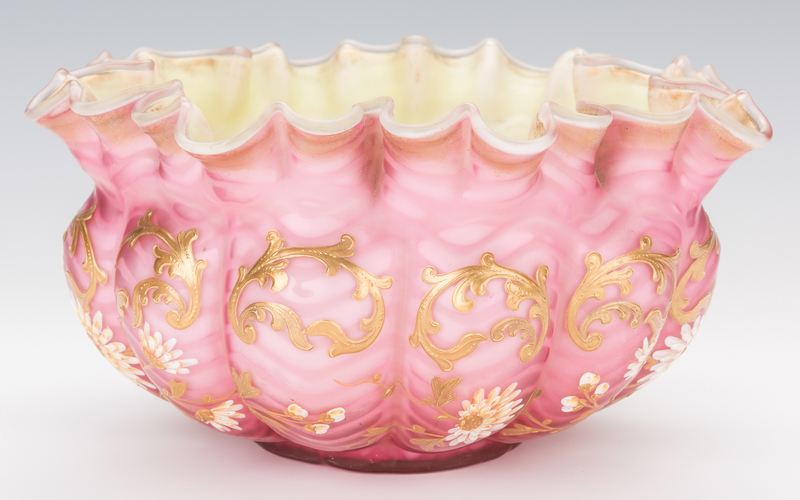 Probably Thomas Webb and Sons, late 19th/early 20th century. Provenance: Private Knoxville, TN collection. CONDITION: Some surface grime and and minor abrasions. 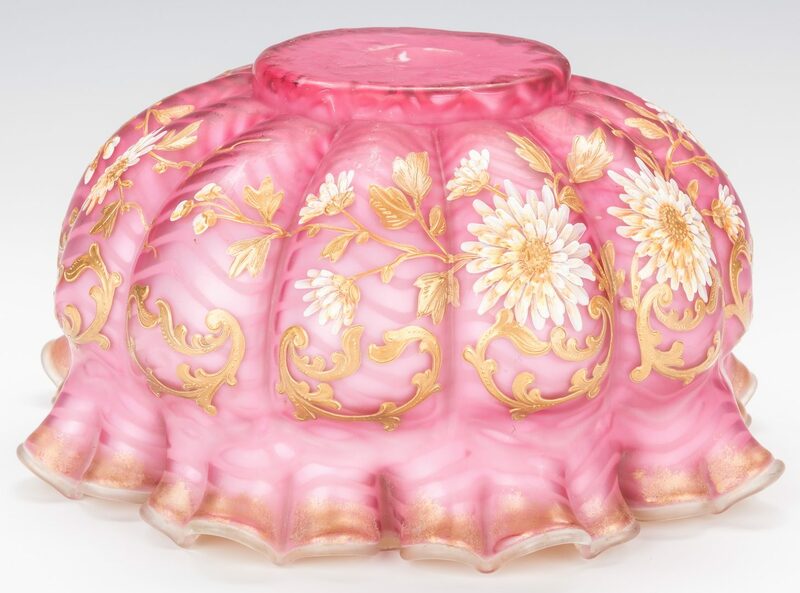 Minor losses to gilt along rim. No evidence of chips to glass or repairs.